Darrel "Rabbit" Warren's credits are far and wide. He worked with many Nashville greats such as Billy Joe Shaver, Hank Thompson, Merle Haggard, and many, many more. He also worked with "Over The Edge", and was a founding member of the Anacortes based "Watertown Blues Band". Darrel was a wellspring of talent, a great blues bassist, and a riot to work with. We miss him very much. Darrel (Rabbit) Warren also was the founding member of the Briar Patch Band that consisted of Recording artist Charlie Gearhart of Goose Creek Symphony, recording artist Wayne Marshell from Nashville, Recording artist Fred Weisz from Goosecreek Symphony & Even Dozen Jug Band, Fred Cooper from Nashville and Mark Warren from the Pacific Northwest Future Pastures Band. They were a very well received band that had many area musicians from Seattle to Bellingham stop in and play with them from time to time. Each week was something different. 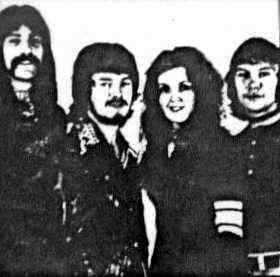 Rabbit (Darrel) also Played with recording artist Charlie Gearheart in the Charlie Gearheart Band. We all miss Rabbits energy, smiles and creative juices very much.